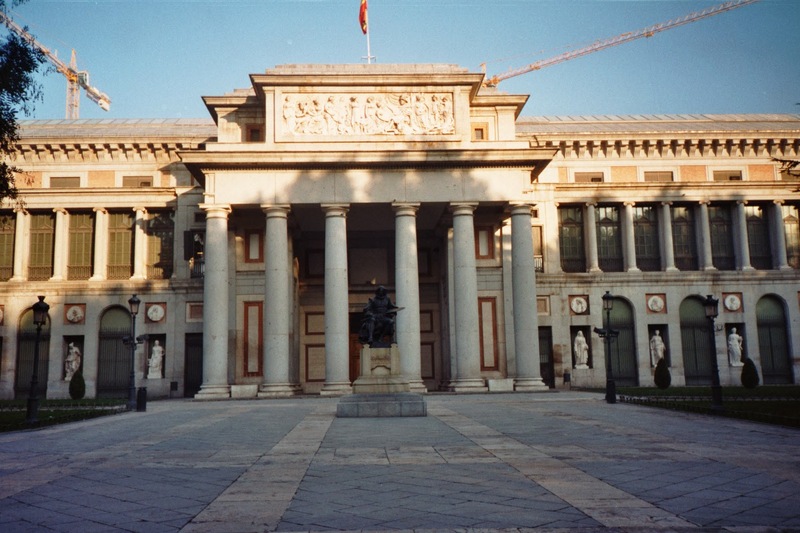 Today's highlight was the Museo del Prado. The building itself is fairly impressive, and houses a huge collection of art from Spanish masters of the 16th-19th centuries. We had reserved and paid for admission in advance, but crowds were not an issue on this particular day. Photos are not permitted inside. Gloria has a newfound interest in hanging art that began with her quilting hobby and now includes classes in sketching and painting. She studied The Prado's excellent iPad app to prepare for this visit, and will likely return later next week. I have a casual interest in cinematography; many famous filmmakers describe their profession as "painting with light". So I looked for examples of chiaroscuro (a technique that emphasizes light, contrast, and detail in shadows). ©2013 SayUncleGeorge.com. Simple theme. Powered by Blogger.